The task force tackling Super Typhoon Yutu-related debris released over the weekend their final pickup schedules per village as the deadline to bring the debris out to the curbside expired last Sunday. 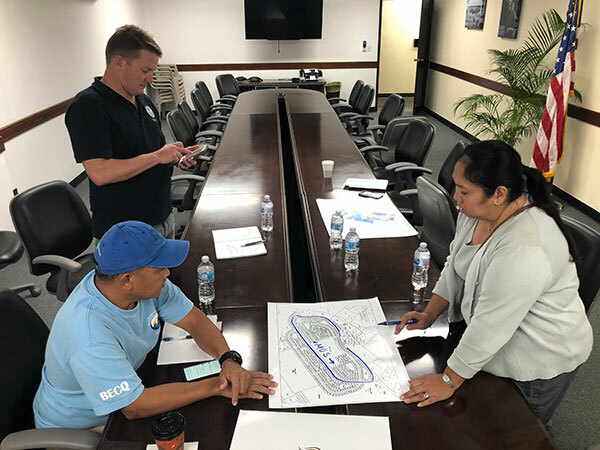 The task force—consisting of government agencies such as the Bureau of Environmental and Coastal Quality, the Saipan Mayor’s Office, the Department of Public Works, and the Federal Emergency Management Agency—noted last Friday that the pickup of Yutu-related debris would last from Feb. 10, 2019, up to Feb. 24, 2019. According to Division of Environmental Quality’s Ray Masga, the debris pickup would take a day per village. Starting yesterday, the task force was scheduled to tackle Koblerville. Today, Feb. 12, is designated for the San Antonio and Afetna areas; Feb. 13 is for Chalan Kanoa; Feb. 14, for Susupe; Feb. 15, for San Jose; Feb. 16, for Dandan; Feb. 18, , for San Vicente; Feb. 19, for Kagman; and Feb. 20, to Feb. 21, for the Quartermaster Road heading north. Masga noted that only typhoon-related debris would be picked up—not household trash. This was also emphasized by Joann Aquino, the Saipan Mayor’s Office field operations director. “It has to be typhoon-related debris,” she said. Homeowners who wish to have their typhoon debris picked up by the task force are encouraged to segregate them into separate piles for vegetative debris such as plants, trees, logs, and leaves; construction debris such as lumber, drywall, plywood, concrete, plumbing, carpet, furniture, broken windows, and mattresses; or metal debris such as tin and metals for roofing. Dan Markey, the Federal Emergency Management Agency representative on the task force, emphasized that helping one another is crucial to the smooth operation of the debris collection. Markey is also the debris task force lead.